ON Nov 29 last year, UMW Aerospace Sdn Bhd successfully delivered the maiden fan case produced in its new facility in Serendah to the Rolls-Royce Seletar Campus in Singapore. For Rolls-Royce, the emergence of UMW Holdings Bhd’s unit as its first Malaysian tier-1 supplier is just the beginning. Its regional director for Southeast Asia, Pacific and South Korea, Dr Bicky Bhangu, says it is seeking more suppliers from Malaysia and the region. The shift is part of a wider plan to realign the geographical distribution of its supply chain to match more closely where its customers are. The Asia and Middle East segment is now Rolls-Royce’s largest after crossing the 50% mark in respect of its global order book in 2014. As at end-2016, Rolls-Royce’s had an order book of £79.6 billion, of which civil aerospace orders amounted to £71.4 billion. 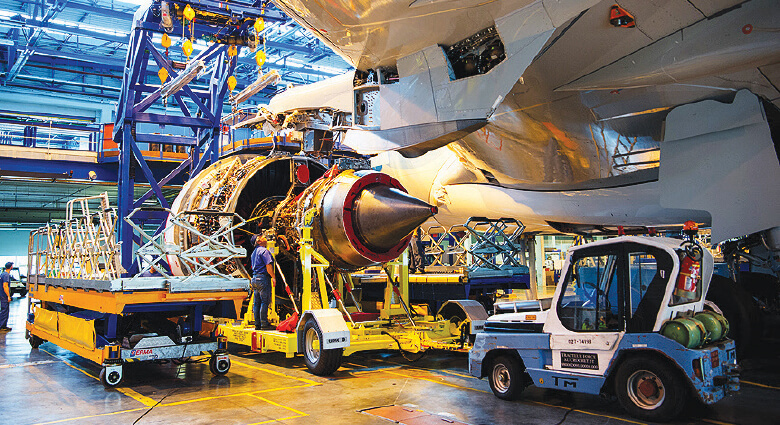 Its facility in Singapore is the only location that assembles large Rolls-Royce civil aerospace engines outside Europe. “We need to be in the right geographies to look after [our customers] for the 20 to 25 years’ commitment that they have made with the Rolls-Royce engine [when purchasing aircraft],” he says during a media tour of the Seletar campus for selected Malaysian media. “Suppliers in Malaysia are well positioned to join our network” partly due to their proximity to Seletar and supportive government policies, he adds. Following its August 2015 agreement with Rolls-Royce to supply fan cases for 25 years, UMW joins the ranks of about 100 tier-1 Rolls-Royce suppliers worldwide. In Asia, there are perhaps only two or three such suppliers, according to Bhangu. Overall, Rolls-Royce has more than 25 suppliers in Asia-Pacific, out of a total of 8,000 worldwide. Its efforts to rebalance the geographical distribution of its supply chain globally is estimated to incur US$2 billion in expenditure in Asia-Pacific by 2020, it said. The rebalancing includes changing its global supply chain from a make:buy ratio of 70:30 to 20:80, meaning it will seek to outsource more components it currently produces to suppliers. Tier-1 suppliers receive purchase orders directly from Rolls-Royce. UMW invested RM750 million in the aerospace manufacturing venture and previously told The Edge that the new hard metal-machining capability will open doors to other high-value manufacturing opportunities. Across Southeast Asia, governments are also showing more appetite for aerospace deals, says Bhangu. For Rolls-Royce, having suppliers closer to its Seletar facility means easier communication and management, some cost-efficiencies and reduced transport and logistics risk, for example. Its Seletar Assembly and Test Unit’s facility currently assembles the Trent 900 engine for the Airbus A390 and the Trent 1000 for the Boeing 787 Dreamliner. It will eventually assemble the Trent 7000 for the Airbus A330neo. UMW manufactures fan cases for the Trent 1000 and will be producing Trent 7000 fan cases when the Seletar campus begins assembling the said engine. It takes about a month to assemble and test one engine. At full capacity, the Seletar campus can roll out 250 engines annually, the same number of fan cases UMW expects to produce per annum at peak production — although not all UMW-produced fan cases will take the seven-hour trip by road to Singapore, according to Rolls-Royce. The 16.1-acre Seletar campus, sitting on a 35.1-acre site, was opened in 2012 when Asia-Pacific became Rolls-Royce’s biggest market. 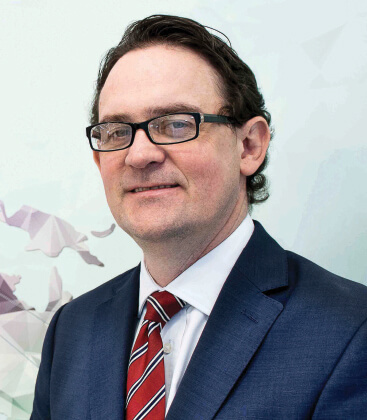 Ewen McDonald, senior vice-president for Asia-Pacific, expects the region’s growth to continue outpacing its other more mature markets. In The Boeing Co’s latest annual 20-year outlook report, spanning 2017-36, it says 40% of new plane deliveries over the next 20 years will be to Asia-based airlines, totalling US$2.5 trillion in value. Southeast Asia, in particular, is the single biggest customer of aircraft manufacturers by region, according to Nomura Global Markets Research. In a Nov 17 report, it said the collective order book size from the region of 1,474 planes as at end-October came to 91% of total existing fleet size, meaning airlines are seeking to nearly double their fleet. From that order book figure, about half comes from AirAsia and Lion Air, the latter being the parent of Batik Air (formerly known as Malindo Air). That said, 84% of the order book represents narrow-body planes (with single aisle) that primarily serve short-haul and medium-haul routes. Rolls-Royce is more focused on wide-body aircraft, McDonald says, adding that by 2020, he expects 50% of wide-body planes to be powered by Rolls-Royce engines. Globally, Rolls-Royce engines are used by 40% of wide-body aircraft, but the proportion is much higher in Asia-Pacific, he says. That was part of the reason the group relocated its customer service to Singapore amid increased focus on the region, he says. “Previously, we had everyone based in the UK, which was difficult”, given the time differences and distance, McDonald says. He adds that being based in Singapore has allowed for “better intimacy” with its major clients, which are in Asia-Pacific — the biggest being AirAsia X, which has 66 Airbus A330neos on order, powered by Trent 7000 engines. “The older markets are still very important because they’re big. So, even a small growth rate is still a large number of engines,” he says. In particular, Malaysia is an exciting prospect for more potential suppliers to emerge, according to McDonald. Last March, Minister of International Trade and Industry Datuk Seri Mustapa Mohamed was reported as saying that he expects the aerospace industry to grow 7% in 2017 with aerospace manufacturing making up 55% of the sector’s overall value. He added that the growth is expected to create 1,500 jobs. In 2016, the total industry turnover was RM12.7 billion, up from RM12.6 billion the previous year, according to the National Aerospace Industry Coordinating Office. 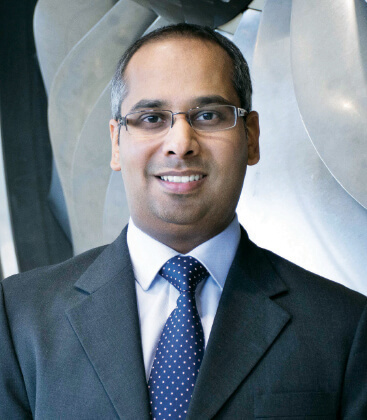 Bhangu says the Malaysian Aerospace Industry Blueprint 2030 is also encouraging for the group as it seeks to grow a supply chain ecosystem in the region. The blueprint, launched on March 17, 2015, sets out a vision for Malaysia to be Southeast Asia’s top aerospace nation, targeting an annual revenue of RM55.2 billion and the creation of over 32,000 high-income jobs. “We want to be part of that journey,” Bhangu says, adding that the group is not necessarily looking for more tier-1 suppliers only from the region. “You can grow capability as a tier-2, and even tier-3, in the supply chain. The question now is, how many players will seize the opportunity, given the high barrier to entry and investment needed, he says. For perspective, UMW cleared 57 audit processes before production could begin, the company previously told The Edge. The strict standards reflect the industry’s absolute priority on precision and aircraft passenger safety.